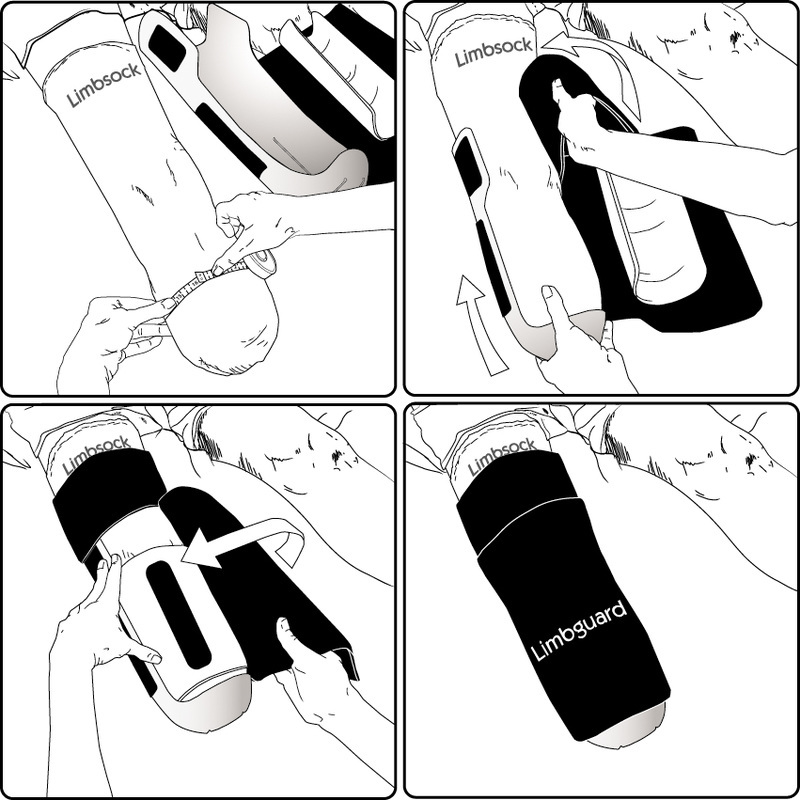 Limbguard™ was the catalyst in creating a simple, low cost transtibial post-op plan that addresses the needs of patients, hospital staff, and prosthetists. Two new distal pads included: 1/2" & 3/4"
These changes enable practitioners to accommodate more limb lengths and improve patient comfort. Limbguard™'s flexible posterior shell helps effectively control knee flexion contractors and edema in the residuum. The padded pretibial section provides effective and comfortable residuum protection and volume control.